This mermaid-themed body jewelry radiates deep-sea beauty and mysteriousness. Each 16g seamless style ring is made of stainless steel and features a lustrous PVD gold coating. 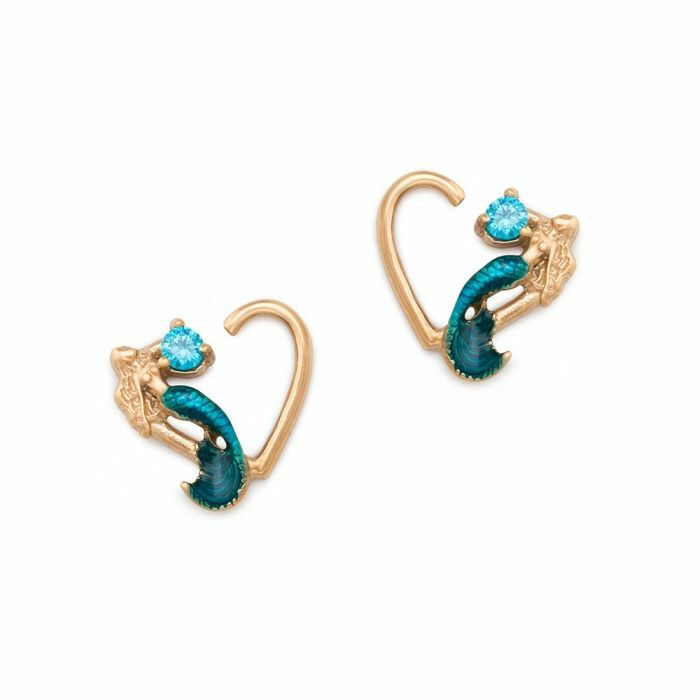 They also feature a mermaid design and a prong-set blue jewel. The mermaid’s elegant tail fin boasts sea-green epoxy accents that are reminiscent of scales. These rings have an approximate wearable area of 9.8mm and are sold as a pair.